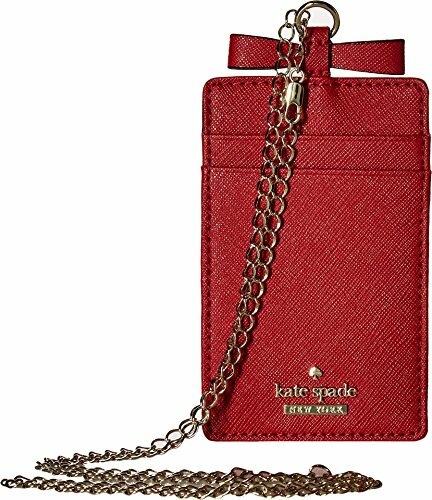 Kate Spade New York Women's Cameron Street Lanyard Heirloom Red One Size | Accessorising - Brand Name / Designer Handbags For Carry & Wear... Share If You Care! Two card slots at front with ID card window at back. Custom woven Bookstripe Print interior lining.